So, I think I got all caught up on my blog visiting! If somehow I missed you, please comment and let me know. I love to stop by and say hi. I had plenty of time to do just that today because I am in quarantine with a sick girl. Poor thing doesnt get sick for an entire year and then she gets it good :( So while the little dude went to school, we stayed home and watched Bee Movie and then she napped and napped some more. 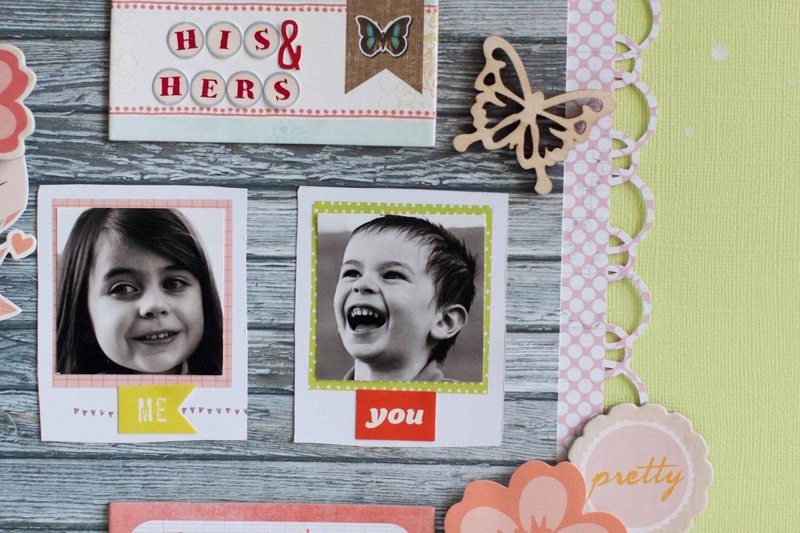 Today, my Scrapbook Circle lift of Fiona's layout is posted. 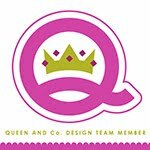 If you would like to have a layout lifted by the Scrapbook Circle DT be sure to keep posting layouts on the Scrapbook Circle Facebook page. Do you see the delicate border on the sides? I cut that with my brand spanking new Cameo. I am so excited because I am realizing I will never have to buy another punch again! Everything on that layout is from the nearly sold out Scrapbook Circle kit Best.Day.Ever and the already sold out add on Scattered Sunshine. Lots of Therm O Web adhesive here including Memory Tape Runner, 3D Zots, Small Zots and the SuperStik. Before I go, I just wanted to send you over to the Imaginisce blog all week. 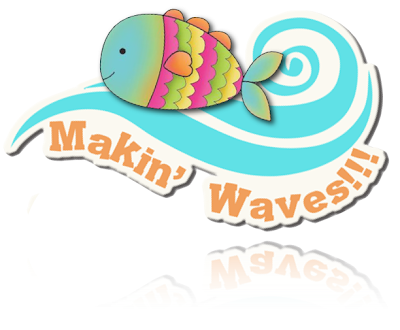 The new summer line Makin' Waves is being released this week so we have DT projects posted all week long as well as giveaways! lovely layout Rebecca! I am so in love with that woodgrain paper! and oh! you lucky girl to have a cameo! I totally love that design of it all being in the centre....that border does look amazing Rebecca! FABULOUS lift Rebecca--hope your girl is feeling better! Hope little miss is feeling better very soon. Love the little photos and details on this page. Mmm, that is one yummy border!! I'm laughing at your punch comment though, lol! You might think you won't need to buy another punch, but you probably will, lol! even with all the wonderful borders I can cut out on my Cricut, I still manage to buy those dang punches! Jus' sayin', lol!